What's New for the 2018 Mercedes-Benz GLE? 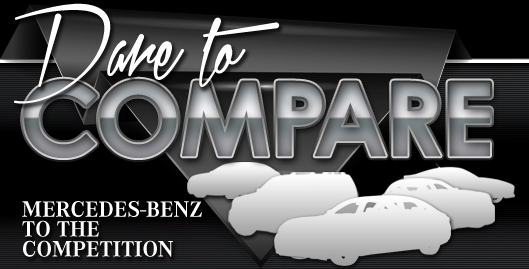 The Mercedes-Benz GLE has been in production for twenty years and continues to remain as one of the most dominant competitors in its market class. The new 2018 GLE continues the Mercedes-Benz innovative tradition by offering a sleek look with robust performance. The 2018 GLE comes in a variety of packages with a new Night package for a darker, edgier look. The new 2018 Mercedes-Benz GLE comes with many innovations from a smartphone app to an optional Rear Seat Entertainment system. The smartphone app, Mercedes Me, allows for a user to carry out many tasks from remote starting the GLE to providing internet and WiFi from inside the vehicle. The all new 2018 Mercedes-Benz GLE comes in three different trims: the GLE 350 SUV, the GLE 350 4MATIC® SUV and the GLE 550e 4MATIC® Plug-in Hybrid SUV; each with an option of eleven different colors. 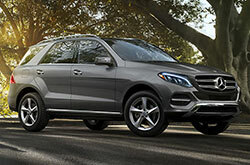 The wheels offered on the GLE range from 18 inch to 20 inch alloy wheels. The interior of the GLE is spacious with over 80 cubic feet of cargo room and a 60/40 split for rear folding seats. The GLE comes with a wide panorama sunroof that allows for all passengers to get a view of the sky from the inside of the GLE's cabin while keeping them safe from the rays of the sun and the elements of the environment. The 2018 Mercedes-Benz GLE comes with two different engine options, a 3.5 liter V6 and a 3.0 liter biturbo V6 with a plug-in hybrid electric motor. The 302 horsepower 3.5 liter engine option can both be found in the GLE 350 SUV and in the GLE 350 4MATIC® SUV. The GLE 550e Plug-in Hybrid SUV comes with a 3.0 liter biturbo V6 engine that produces 436 horsepower and 479 pound-foot of torque. In addition, the 3.0 liter engine found in the GLE 550e is a plug-in hybrid electric motor which allows for the SUV to achieve 50 MPGe. Mercedes-Benz 4MATIC® system comes standard on most GLE models and allows for torque to be applied to all four wheels during slippery road conditions. The 4MATIC® system is Mercedes's staple suspension system providing quickness in turns during dry weather and stability on the road during wet weather. Active Brake Assist also helps to avoid collisions and accidents. Offered as an option on the new GLE, DISTRONIC® is an adaptive cruise control. DISTRONIC® allows for a user to have a sound mind, on a safe journey, through systems such as Steering Pilot.